Describing itself as “one of the wings of the Muslim Brother[hood],” Hamas’s avowed purpose is “liberating Palestine” from its Jewish “oppressors,” whose very presence in the Middle East Hamas considers an affront to Muslims’ rightful sovereignty over the region. Hamas is best known for using violent methods — including suicide bombings against Israeli military and civilian targets — as part of its long-term strategy to destroy Israel and replace it with an Islamic Palestinian state. The U.S. State Department, Canada, Japan, Israel, and the entire European Union have named Hamas as an Islamic terrorist organization. With tens of thousands of loyal supporters, Hamas’ strength is concentrated principally in the Gaza Strip and a few areas of the West Bank. The group’s leadership is dispersed throughout these same areas, with a few senior leaders residing also in Syria, Lebanon, and the Gulf States. Over the years, Hamas’ funding has derived from a variety of sources. Today it is supported primarily by donations from Iran, Arab governments such as that of Syria, Palestinian expatriates, private benefactors in Arab nations, Islamic fascist groups, and Muslim “charities” from around the world such as the now-defunct Holy Land Foundation for Relief and Development. (It is estimated that the “charities” account for about half of all Hamas funding today.) Some clandestine fundraising takes place in Western Europe and North America as well. When the United Nations Oil-For-Food program was in effect, Iraqi president Saddam Hussein skimmed more than $21 billion from its coffers and sent some of it directly to Hamas. Hamas also has a close working relationship with Hezbollah, the Lebanon-based terror organization that serves as one of Hamas’ major suppliers of weaponry. For additional significant excerpts from the Hamas Charter, click here. To view the Charter in its entirety, click here. In 1992 Hamas formed its military wing, known as the Izz ad-Din al-Qassam Brigades, named in honor of the late Sheikh who was the forefather of modern Arab resistance until his death in 1935. In December 1992, Israeli forces responded to Palestinian atrocities by arresting more than 1,000 Hamas and Islamic Jihad terrorists and deporting 415 of them into Lebanon. Among those expelled were two co-founders of Hamas (including Ismail Haniya) and several of the organization’s top military commanders. In response to these expulsions, the United Nations Security Council unanimously adopted Resolution 799 which “strongly” condemned the deportation of “hundreds of Palestinian civilians” and expressed “its firm opposition to any such deportation by Israel.” The Security Council further demanded that Israel “ensure the safe and immediate return to the occupied territories of all those deported.” American and European officials likewise pressured Israel to abide by the UN directives. Bill Clinton, for one, said that while he understood Israeli concerns about Hamas, he was opposed to the Jewish state actually deporting the terrorists. The media, too, helped turn the plight of the expelled Hamas terrorists into the leading human-rights issue of the day. For example, in a story headlined “Deporting the Hope for Peace,” Newsweek sympathetically reported that the deportees were “shivering in the cold.” The New York Times described the hillside upon which they were camped out, as “desolate.” The Christian Science Monitor said the deportees were huddling “under heavy rain.” And the Associated Press, which described Abdel Aziz al-Rantisi, the future leader of Hamas, only as a Gaza physician, provided detailed coverage of deportees who were suffering from such ailments as diarrhea. Eventually, in response to public presuures such as these, Israel agreed to permit the terrorists to return. The first Hamas suicide bombing on record took place on April 26, 1993, when Saher al-tamam attacked two Israeli buses in Mehola, injuring several soldiers who were there on leave. However, this mode of attack did not become the organization’s “official policy” until 1994, when Hamas’ Yahya Ayyash—nicknamed ”The Engineer”— succeeded in perfecting the design for the suicide explosive belt. During the course of the next 13 years, Hamas terrorists would kill over 500 people in more than 350 separate attacks. When Israeli helicopter gun ships used Hellfire missiles to kill Yassin on March 22, 2004, Palestinian Authority president Yasser Arafat eulogized him and declared three days of mourning for his people. Upon Yassin’s death, his leadership role with Hamas was immediately filled by the group’s co-founder, Abdel Aziz al Rantisi, a 54-year-old pediatrician who himself had escaped an Israeli assassination attempt in June 2003. Immediately upon taking control of Hamas, Rantisi threatened retaliatory attacks against both Israel and the United States, though he later said that Hamas would target only Israel. On April 17, 2004, an Israeli army helicopter launched a missile strike on Rantisi’s car, killing him. Hamas boycotted the PA’s presidential elections of January 2005 but made a strong showing in the municipal elections, especially in Gaza, where it won 77 out of 118 seats in 10 council races. Also in August 2005, the founders and political leaders of Hamas joined forces to publicly announce that their organization’s attacks against Israeli targets would continue even after the Jewish state’s impending withdrawal from Gaza. Senior Hamas member Ismail Haniyeh characterized Israel’s action as a “retreat” that was “a result of resistance and our people’s sacrifice.” Promising more violence, he declared, “Hamas confirms its adherence to resistance as a strategic option until the occupation retreats from our lands and holy places” — i.e., until Israel ceases to exist. When Israel proceeded to actually withdraw from Gaza in September 2005, Hamas heralded the move by defiantly blustering that its “Zionist enemy” had suffered a humiliating “defeat,” and announcing its intent to continue pursuing Israel’s destruction. For its perceived role in driving Israel out of Gaza, Hamas gained immense popularity and political clout in the region. In January 2006, the terror group participated for the first time in the PA’s political elections and won 76 of the 132 parliamentary seats, effectively taking control of the Palestinian government. Formally assuming power on March 29, 2006, the new 24-member Hamas Cabinet included 14 ministers who had previously served time in Israeli prisons. The newly installed Palestinian prime minister, Ismail Haniyeh of Hamas, pledged to cooperate with PA president Mahmoud Abbas, Arafat’s successor and the head of the defeated Fatah party which still controlled most of the PA’s security apparatus. At a Gaza news conference, Haniyeh pledged that his relations with Abbas would emphasize the “cooperation and harmony” which could result from confronting “Israeli aggression against the people.” But before long, Hamas and Fatah were embroiled in a contentious political rivalry that escalated into violent street clashes throughout Gaza. In addition to the rocket attacks, in the post-2006-election era Hamas terrorists and their fellow Gazans also targeted Israelis via car bombs, suicide bombings, sniper attacks, stabbings, stonings, open gunfire in crowded places, the development of chemical weapons, and the smuggling of TNT and mine components into Israel. On June 28, 2006, Israeli troops and tanks entered the southern Gaza Strip in an incursion intended to force the release of an Israeli soldier who had been kidnapped from an army outpost three days earlier by Palestinian militants. On July 12, 2006, Lebanon-based Hezbollah decisively opened a second front in the Arab war against Israel when it conducted a surprise raid on a border post in northern Israel, taking two IDF soldiers captive and wounding eleven others. The abductions, which Israel called an act of war, prompted an Israeli military campaign against Lebanon, to which Hezbollah responded by firing, over the next month, more than 4,000 rockets across the Lebanese border and into Israeli cities. “It’s not coincidental that we had these two attacks and they’re pretty much coordinated — in the south with Hamas and with Hizballah [Hezbollah] in the north,” said Israel’s ambassador to the U.S., Daniel Ayalon, noting that both groups are supported by Tehran and Damascus. Both Hamas and Hezbollah said that they would release their Israeli captives only in exchange for thousands of their own members who were incarcerated in Israeli prisons at that time. Israel replied that it would not engage in any prisoner exchanges, and that it would cease its bombardment of terrorist strongholds only if Hamas and Hezbollah agreed to suspend all rocket attacks into Israel and unconditionally released the Israeli soldiers. In August 2006, after a month of combat, Israel and Hezbollah agreed to a cease-fire under the terms of United Nations Security Council Resolution 1701, which called for “the immediate cessation by Hezbullah of all attacks and the immediate cessation by Israel of all offensive military operations.” Israel’s battle against Hamas, meanwhile, had no formal ending but simply de-escalated. Before long, Hamas and other Gazan terrorists resumed their practice of firing rockets aimlessly, and with impunity, into southern Israel. As Hamas and Fatah continued to vie for control over Gaza in early 2007, a number of Arab nations, headed by Saudi Arabia, led mediation efforts that resulted in Hamas and Fatah agreeing to share power in a Palestinian “unity government.” Under this arrangement, Ismail Haniyeh kept his position as prime minister and Hamas retained majority control of the cabinet. The unity government was sworn in on March 17, 2007. In April 2007, Hamas military leader Abu Abdullah emphasized his group’s unwavering commitment to destroying the state of Israel: “We don’t recognize Israel’s right to exist. We will never allow Jews to remain in our lands. … We have thousands of rockets ready to be shot.” Further, Abdullah warned that if Israel were to raid Gaza in retaliation for its rocket attacks, “the Zionists will be entering hell. We are preparing a major cemetery for them. We will step up attacks, including dispatching suicide bombers to Tel Aviv.” Moreover, he revealed that Hamas had used a recent cease-fire period as an opportunity to stockpile weaponry and to train for future attacks against Israel. Also in mid-May 2007, simmering hostilities between Fatah and Hamas resurfaced. The following month, these clashes escalated into full-blown violence that lasted for six days. Fatah’s forces, trained and armed by the United States and other Western nations, were routed. According to the Palestinian Center for Human Rights, Hamas’ violence was indiscriminate and demonstrated a willful disregard for the conventions of war. For example, Hamas fighters pushed a number of Fatah members from the roofs of tall buildings; killed people who were already badly injured; shot enemies at point-blank range to ensure permanent disabilities; and attacked private homes, apartment buildings, hospitals, ambulances, and medical crews. By the time the fighting was over, Hamas had seized almost all of Fatah’s major bases in the Gaza Strip. As a result, Mahmoud Abbas announced on June 14 that he was dismissing his Hamas-led government and declared a state of emergency, thereby marking the end of the unity government that Hamas and Fatah had formed earlier that year. Hamas was now firmly in control of the region. In the more populous West Bank, by contrast, Fatah’s position remained relatively secure; Hamas had been unable to establish its authority there because of Israel’s continued military presence. In Gaza, Hamas governed through a combination of violence, authoritarianism, and Islamism. Some 1,000 people, almost all members of Fatah and the PA, were illegally arrested in the first months of Hamas rule by the so-called Executive Force, a newly formed Hamas police organization whose leader actually admitted to the use of torture and violence against his political enemies. According to one human-rights report, the nascent Hamas government also attacked members of the media and peaceful demonstrators who questioned its policies in any way. By November 2007, the British press reported that “only believers feel safe” in Gaza, and that “un-Islamic” dress sometimes resulted in beatings. Another hallmark of Hamas’ rule was its gross mistreatment of the minority Christian community, mostly Greek Orthodox, which had lived in relative peace for centuries amid Gaza’s predominantly Sunni Muslim population. By one count, more than 50 attacks against such Christians took place in the first few months following the Hamas coup of June 2007. In the 2007 Holy Land Foundation for Relief and Development (HLF) trial (which looked into evidence of HLF’s fundraising on behalf of Hamas), the U.S. government released a list of approximately 300 of HLF’s “unindicted co-conspirators”.pdf+%22holy+land+foundation%22+and+list+of+%22unindicted+co-conspirators%22&hl=en&ct=clnk&cd=2&gl=us) and “joint venturers.” Among these were groups such as the Council on American-Islamic Relations, Hamas, INFOCOM, the Islamic Association for Palestine, the Islamic Society of North America, the Muslim Arab Youth Association, the North American Islamic Trust, and the United Association for Studies and Research. The list also included many individuals (some of whom were deceased) affiliated with the Muslim Brotherhood and/or Hamas. Among these were Omar Ahmad, Abdurahman Alamoudi, Yousef al-Qaradawi, Abdallah Azzam, Jamal Badawi, Mohammad Jaghlit, Mousa Abu Marzook, Abdel Aziz Rantisi, and Ahmed Yassin. On December 27, 2008, Israel launched “Operation Cast Lead” (OCL), a military operation targeting Hamas and other terrorists in Gaza. Specifically, the operation was a response to the fact that between January 2001 and December 2008, Hamas and its affiliated terrorists in Gaza had fired some 8,165 rockets and mortars at civilian communities in southern Israel — with no end in sight. On January 18, 2009 — after three weeks of combat — Hamas accepted the terms of a ceasefire that Israel had unilaterally declared the day before. In May 2011, Hamas and Fatah signed a landmark reconciliation pact aimed at ending their bitter four-year rift. The deal called for the formation of an interim government to run both the West Bank and Gaza Strip, with parliamentary and presidential elections to follow within a year. 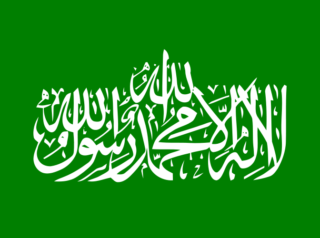 In late 2011, Hamas added the phrase “a branch of the Muslim Brotherhood – Palestine” to its official name – i.e., “The Islamic Resistance Movement.” A senior Hamas source stated that his group was now officially part of the global Muslim Brotherhood organization. Between January and mid-November of 2012, Hamas terrorists fired more than 700 rockets into southern Israel. Some 120 of those were launched during November 10-14. In response, Israel carried out a precision strike on a car carrying Hamas military chief Ahmad Jabari, mastermind of the 2006 kidnapping of Israeli soldier Gilad Shalit. Video of the strike shows it was designed to minimize civilian casualties. After killing Jabari, the Israeli Defense Forces struck 100 terrorist target locations in Hamas-controlled Gaza. Hamas, in turn, declared that Israel’s initial strike against Jabari had “opened the gates of hell,” and that its 35,000 fighters would soon be deployed in attacks against the Jews. On November 15 and 16, 2012, Hamas militants fired two missiles toward Tel Aviv — the first time Israel’s largest city had come under such attack since the 1991 Gulf War. Neither of the missiles hit any population targets. On November 16, 2012, Hamas launched a missile intended for the Israeli parliament building in Jerusalem — the first time any structure in that city had been targeted by missiles since 1970. The projectile, however, landed in Gush Etzion, south of Jerusalem, and caused no casualties. At a March 10, 2014 ceremony in Gaza City, Hamas unveiled a full-sized statue of a large M75 rocket named in honor of Qassam Brigades founding member Ibrahim al-Maqadma, whom Israel had assassinated in 2003. “Hamas managed to take the battle to the heart of the Zionist entity after developing its rocket system, succeeding where many Arab armies had failed,” said a Hamas leader flanked by masked fighters at the statue’s unveiling. Another Hamas official, meanwhile, proclaimed that in any future confrontation with Israel his organization would use long-range weapons to target cities in the far north. That same day, Israel displayed a shipment of arms — including long-range rockets with a range of up to 100 miles — that it had captured as they were being transported from Iran to Gaza. It was not immediately determined, however, whether Hamas and its military wing would permit the new unity government to run the security forces in the Gaza Strip, or conversely, whether Hamas would be allowed to operate more freely in the West Bank—e.g., to stage mass rallies or run social programs. On July 6, 2014, Hamas released a new video calling for genocide against Israelis. Claiming that Israel’s leaders had chosen death, and advising those who lived in the southern Israeli town of Beer Sheva to flee, the video featured images of Israeli Prime Minister Benjamin Netanyahu, Israeli Defense Minister Moshe Ya’alon, and Israeli Chief of General Staff of the IDF Benny Gantz juxtaposed with images of bloody Palestinian children who allegedly had been injured or killed by Israel. The video concluded with footage of rocket fire directed towards Israel, and showed men, women and children fleeing desperately for their lives. On July 17, 2014, Israel, exasperated by the relentless barrage of potentially deadly rockets that Hamas terrorists were launching from Gaza deep into the Jewish state – and by Hamas’s rejection of an Egyptian cease-fire plan earlier that week – sent ground troops into Gaza for the purpose of degrading Hamas’s killing capacity. Most significantly, Israel aimed to locate and destroy the massive network of underground concrete tunnels which Hamas had built below heavily populated areas throughout Gaza. These tunnels were used to store, transport, and launch Hamas’s enormous stockpiles of missiles. Many of the tunnels also extended into Israeli territory, thereby providing Hamas militants with a means of entering Israel undetected and carrying out terror missions. In a secret election held in February 2017, Hamas chose the notoriously brutal Yahya Sinwar — a key member of the organization’s military wing — to replace Ismail Haniyeh as the head of Hamas operations in Gaza. The truth is that the new Charter, though vaunted as a major shift for the group, is, in reality, little more than a public-relations exercise. Hamas leaders have got smart, but have not changed their spots. The most obvious change lies in the wording concerning Jews and Israelis. Whereas the Charter Mark I of 1988 contained numerous examples of pure anti-Semitism, singling Jews out as repellent enemies of God and calling for their wholesale destruction, it has finally dawned on the leadership that racist, anti-Semitic and genocidal words do not fare well in many Western states, even in ones with an anti-Zionist agenda. This is, of course, mere bluster that ignores the fact that outright anti-Semitism is to be found in the Qur’an, the Sacred Traditions (ahadith), shari’a law regarding the treatment of Jews and Christians as dhimmi inferiors to Muslims, or the countless persecutions and pogroms carried out against Jews in Muslim countries. In Article 16 of the New Charter, propaganda dominates the narrative and distracts us from Hamas’s underlying commitment to traditional Islamic thinking about Jews and Judaism. Here, we see in a fuller form the same connectivity to religion that characterized the first Charter. The New Charter is mere window-dressing; even a casual reading of it should show that the new Hamas is the old Hamas wearing a different face to try to disguise the true intransigence and hatred that have always characterized it. Each year, Hamas, Islamic Jihad, and other Palestinian extremist organizations run summer camps that indoctrinate Palestinian youth with anti-Semitic propaganda while training them in the use of weapons and jihadist combat tactics. Most of these camps are named in honor of Palestinian “martyrs” who died while committing terrorist attacks against Israeli Jews. Some 120,000 young people attended the Hamas camps alone in 2017. Hamas’ most significant front group in North America is the Council on American-Islamic Relations. Khaled Mash’al, who first became a member of the Hamas Political Bureau in 1996, has been the organization’s worldwide leader since 2004.